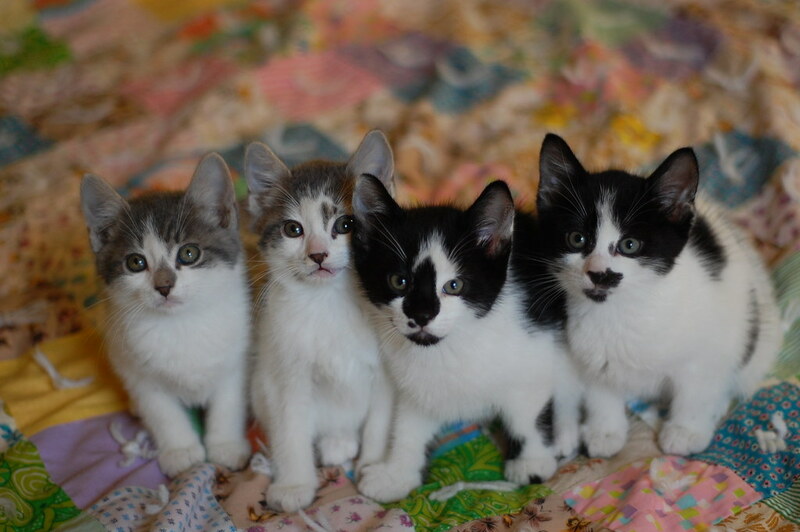 The Itty Bitty Kitty Committee: OH, What A Year It's Been! Today this Itty Bitty Blog is celebrating it's two year anniversary! What a year it's been! We've met so many amazing little kittens and found so many wonderful families to adopt them. Our community has grown bigger (it more than doubled over the past year) and stronger (so many friendships forged). We also joined together to raise almost 23 sqillion to help the homeless cats and kittens. Thank you once again for all your love and support. I appreciate you all stopping by each day. I am thankful for all the comments you leave and the notes you send us. You're a lovely community, and I appreciate you all so much. Out of all the blogs out there,, I doubt there's a warmer bunch of followers. In honer of this blogiversary, I thought I would share some stats with you. 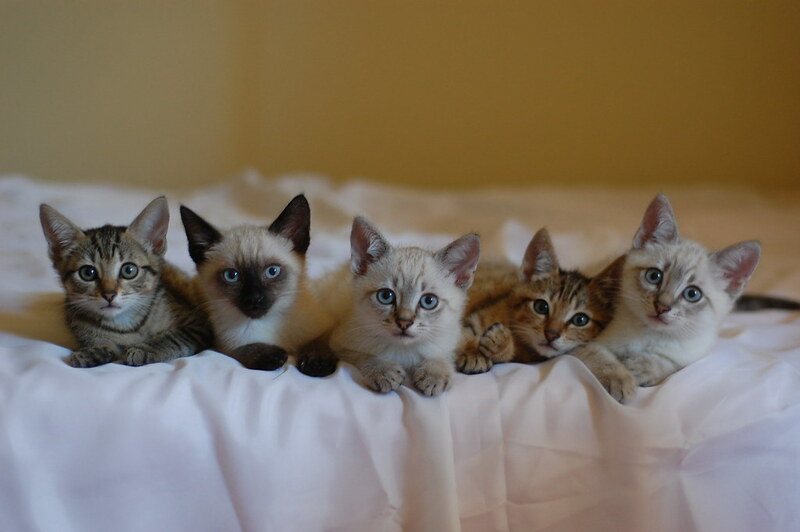 In the past year we fostered 32 kittens and placed them with 17 families. Albert Livermore claims his mother. If you would care to look at last years stats, click here. THANK YOU for an amazing year. We can hardly wait to see what's next!! Thanks for a really fun post, Laurie! It's so much fun to see all the tiny ones and look at the stats, memories and excellent photographs. I was happy to see Albert claiming his new mama. I read their blog every day, too. Wish I could do the same with all of them. Thank you for all you have done - the lives you've helped to make happy, the good health, the spaying and neutering, and all that joy. Oh, and all the ones who will find help because of the fundraiser. It's all so good. Yes, I second that (Ducky). I love viewing this blog everyday, sometimes more than once or twice.....more even. The pictures are wonderful, and it makes me love my (5) adopted girls even more knowing I too have helped on this side of the US. Thanks for sharing it all. Keep up the good work! I LOVE this itty bitty kitty lovin' community with all my heart. I get all kinds of warm fuzzies (pun intended) EVERY time I visit. And I am a frequent visitor and promoter. How your house holds such huge, warm hearts we may never know - but I think we are all happy for you to be there. Congratulations on another year of spreading the love. May it live on in the kittens and those whose lives they touch. I love seeing all these little group photos together. Fantastic! I'd love to see behind the scenes about how you get all these kitties to sit pretty and look at you. Congrats on the two year mark. 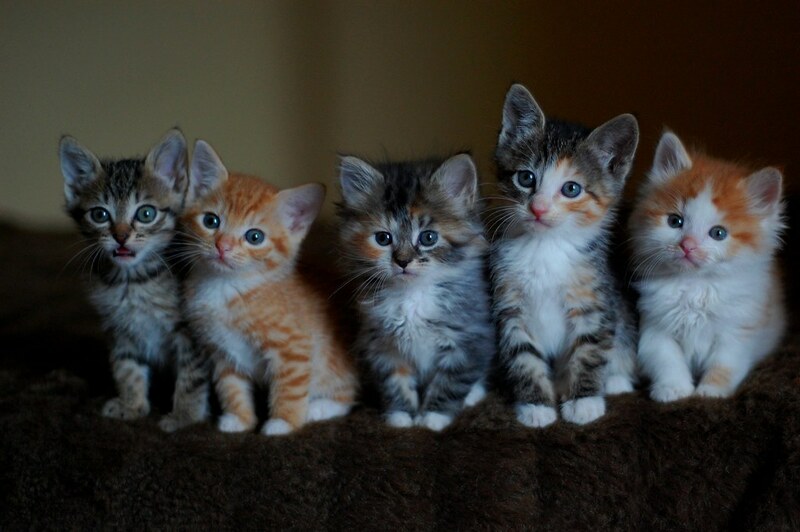 We thank you for bringing not only cute kittens into our world, but for giving us some wonderful reading. Sometimes, what you write is cuter than the kits. The family portraits really put everything into perspective. You and YOUR family have helped foster sooo many kitties and I couldn't be more grateful. Thank-you Laurie for all that you do for the kitty community and especially for my little gifts, Albert and Elvis(Davy) Livermore. They were the highlight of my year and I'm sure they will be for many more to come! Thank you, Laurie, Charlene, Craig and Drewey. I'm so happy that I came upon your site last year. The pictures and what you write are such a bright spot in my day (sometimes multiple spots in a day when I just have to come back and visit you again). It's so wonderful to see all the family portraits. Thank you again! I'll add to the list of countries.. I am from Sri Lanka (A tiny island nation in asia, just below India) and accidently stumbled upon your blog... Your site is amazing... So is the work you are doing. Love ans scritches to all the kitties esp to charlene. Ditto to Ducky's comment. Your blog has brought so much joy to all our lives, it's the reason I even decided to start volunteering at a small local kitten/cat rescue in my town, we don't know how many kitties have been helped by this blog. Thank you for all of the entries, pictures and work you put into this blog for us as well as the kittens. Any updated photos from their new homes? I'm dying to see how Tessa, Francine, and Rhoda turned out. great to look back over the year! I had forgotten about the angel wings. It seems like every time you post a flashback picture I have to go read up on that kitten to see when she or he found a home, just because I need to know the particulars of that happy ending. Thank you so much for all that you do, and all your work to make the world a little more compassionate and responsible. I discovered the IBKC a couple of months ago and have been "aww"-ing almost constantly ever since. 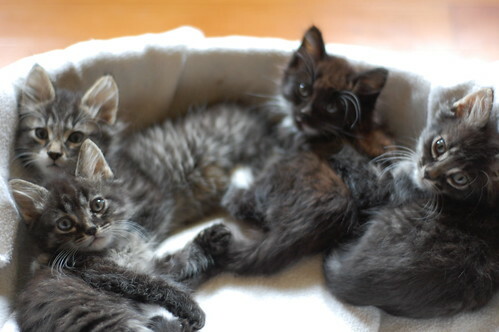 (I also introduced it to a coworker of mine who fosters kittens in Puyallup - although she prefers to keep the kittens instead of finding them homes.) I have long wanted to adopt a kitten - this desire is compounded by your photos of adorable, local, adoptable kittens - but I fear that the fuzzy feline diva with whom I share my abode, Scarlett O'Hara, would find a kitten to be a tasty snack. Alas, I shall have to continue to follow the IBKC and gaze longingly at your beautiful foster charges. Thank you for creating such a wonderful blog, and for doing great work on behalf of cats and kittens! Sending a little meow from the furry member of my family, and lovely happy thoughts from the humans of the household! Happy anniversary! You've done such great things this year. Happy 2nd anniversary!!!!! You can refer back to my Dog walkathon posts to see how much this blog means to me - and it is one of only a handful of websites that I visit not just every day, but multiple times per day. You've created such a community across the world by sharing stories and photos of what you do. It makes me sincerely happy to live in 2009. How lucky we are to have this opportunity to share in your triumphs, your sadness, your love, your laughter... and your Butterbean! darin, and her cats Jonah and Daltrey, and her BF Josh. You've done two years of great work and making lots of people happy with your blog. Congratulations. And keep on going with the good work you do. I, too, have a story about how I benefit each and every day from the IBKC -- and how I've been inspired to start volunteering at my local no-kill cat shelter. Talk about making a difference! Humans, felines, mankind benefit from the IBKC!! Happy Blogoversary! It has been a great year. We don't always leave a comment but we always enjoy visiting. Keep up the great work! Happy Kittyversary! This blog makes each day a little brighter for me and my mum, and I am so grateful for all you do. Cheers! Happy Blogaversary! So many kitties in happy loving homes because of you. Wonderful! Good stuff! Thank you, Laurie, for another year of sharing your adventures in kitten rearing! 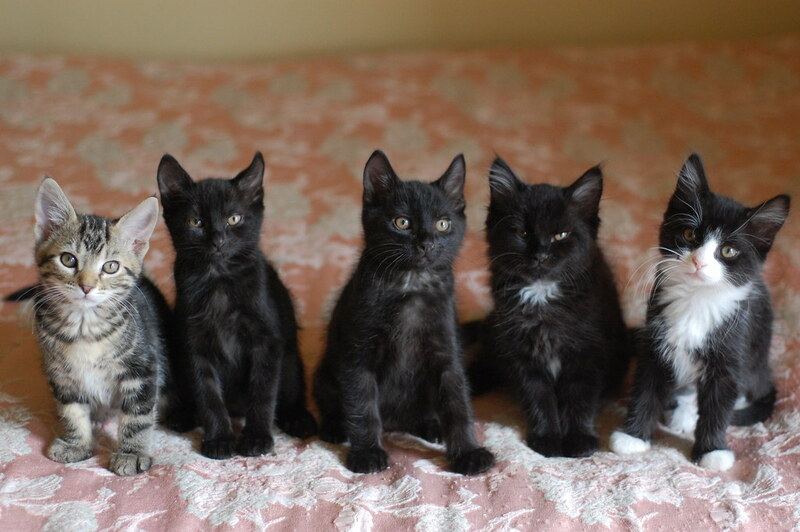 The IBKC blog does its readers good as well as its kittens. Oh, I had forgotten how much those LaBath girls tugged at my heartstrings. I still follow Enid and Hester's grownup blog. Meant to add: I think my favorite post of the year was, "How I Tell My Brothers Apart, by Tressa Lovejoy." Happy blogiversary!!!! Even though I live on the other side of the country, I TRULY enjoy reading your blog! And am amazed each time I see Butterbean with each new set of kittens. She is a sweetheart. and so is your other kitty. Can't remember her name since she doesn't get as much airtime, but I have a soft spot in my heart for older kitties. Happy Blogiversary! Ditto to all the comments above :) Love your blog and all the blogs that have sprung from it...and a huge thank you to every member of the IBKC for everything you guys do for these little ones! Thank you Foster Mama! We wouldn't have a happy home without your help. Although Red could pony up with more foodie treats and more glitter balls. This is my first stop on the internet every day and I love it! Hubie and Rhoda Darling, along with Inez Davenport are my favorite little kitties ever. This is such a daily joy of mine, I hope you continue for a long time. 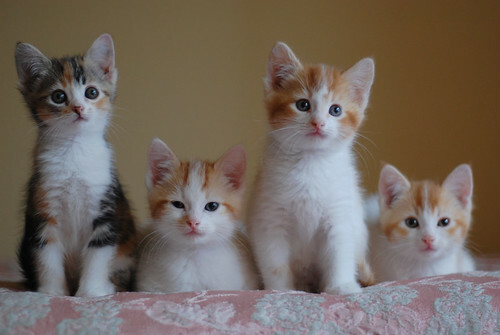 it blows my mind how amazingly cute/adorable/soul destroying sweet these kitten families are. And my mind is blow farther by how your photos capture them so naturally! I can see exactly what each little baby is thinking in these pics, and I just love it. It's why I keep coming to this site!